It’s Christmas and that means it’s the perfect time to take cute holiday pics of your cats, dogs, bunnies, hamsters or any other animals you may have in your life! Whether your pet is incredibly photogenic or a bit camera shy, we have a few ideas to help you capture some great Christmas photos of your furry friend. Take a look at these cute pics below for a dose of Christmas cheer and a bit of inspiration for your photos. 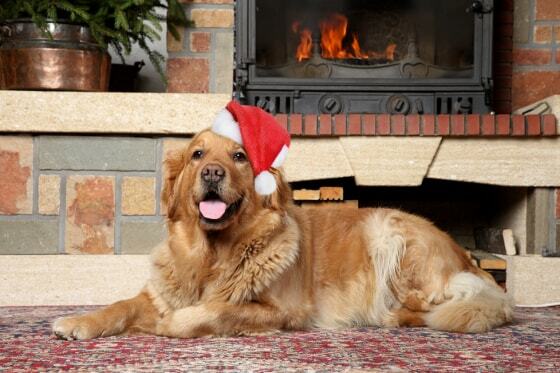 If your dog loves the camera, just give him a Santa hat and snap away! As any cat owner knows, all you have to do is provide the box. The cat will do the rest! 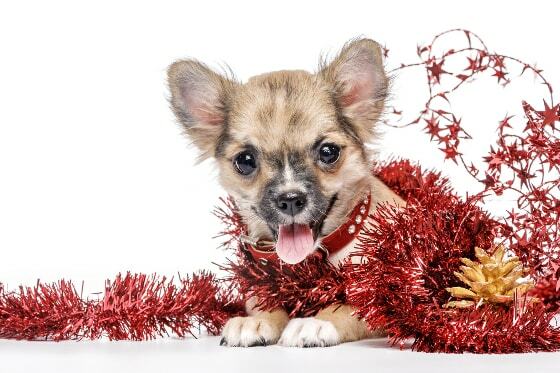 Give your doggie a bit of tinsel to play with and you’ll have a festive photo shoot in no time! 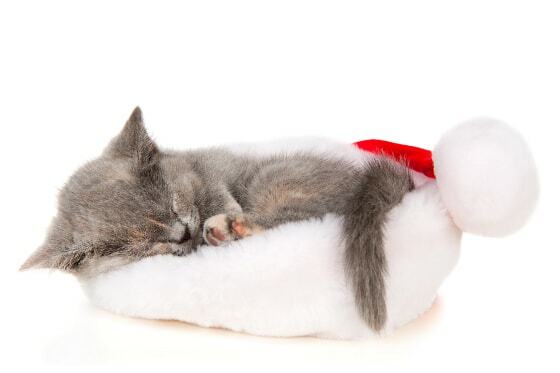 You might not get your cat to wear a Santa hat, but we bet you’ll have no trouble getting your little kitty to curl up and sleep in one! 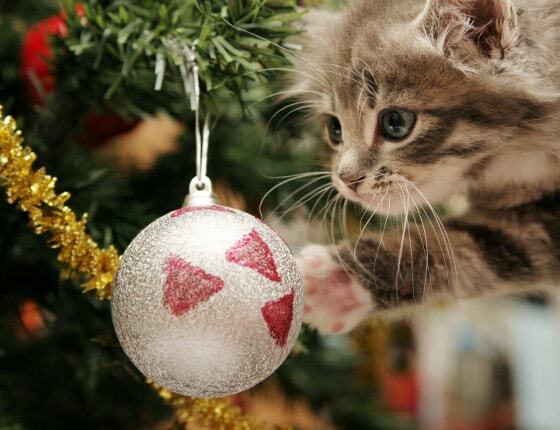 Take advantage of your cat’s fascination with your Christmas ornaments and get a photo of your kitten next to the tree (or scaling your tree if your cat’s one to climb)! 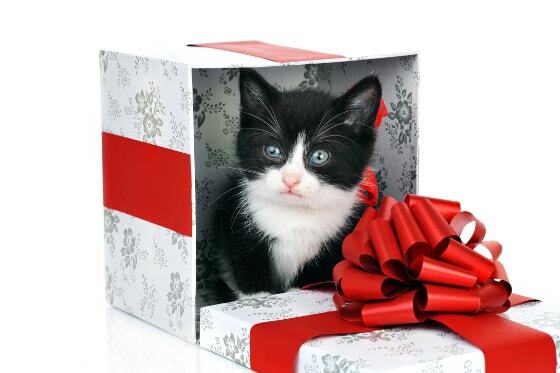 Have a pet that won’t last one second in a Santa hat, let along pose for you? Just wait until he’s in front of your tree and snap a quick candid shot! 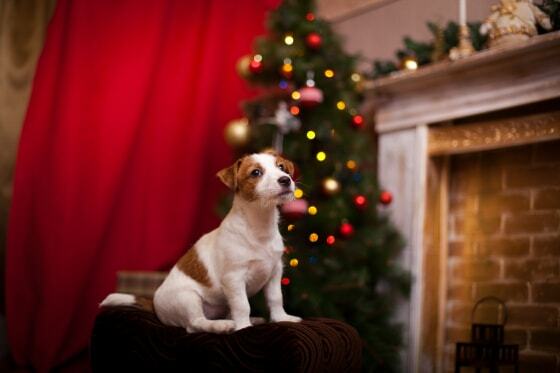 Top tip: Take these photos now and use them on your Christmas cards next year!